This month, leave your humbugs at home and check out all the things happening in our fabulous city. It’s the time of the year you’ve been waiting for most when you can blast Ariana Grande’s Christmas Album, sip on an eggnog latte, and spread some holiday cheer. This month, leave your humbugs at home and check out all the things happening in our fabulous city. Every Saturday in December, cSPACE will be hosting a very special Christmas edition of their year-round farmers and makers market. Explore four floors of holiday magic filled with food, gift ideas, entertaining needs, and delicious treats. Other activities include visits with Santa, a festive photo booth, live music, and more. Take a walk in Inglewood this December and see how the neighbourhood does Christmas. This exclusive shopping event will provide many gift ideas as you browse the enchanting window displays, take in live music and entertainment and feast on good eats. The holidays wouldn’t be the same without A Charlie Brown Christmas. On December 1st, catch the soundtrack being played by a live jazz trio led by the original soundtrack’s drummer Jerry Granelli at the Central United Church. If you’re Dreaming of a Nerd Christmas, then The Expo Holiday Market is what you’ve been looking for. On December 1st and 2nd, come walking in a Nerdy Wonderland as you browse through aisles of comic book vendors, artisan crafters, toy dealers, collectible retailers and more. Santa Claus will be making a personal appearance at this celebration. Show up in Cosplay, bring your friends, and kick off the holiday season geek-style. 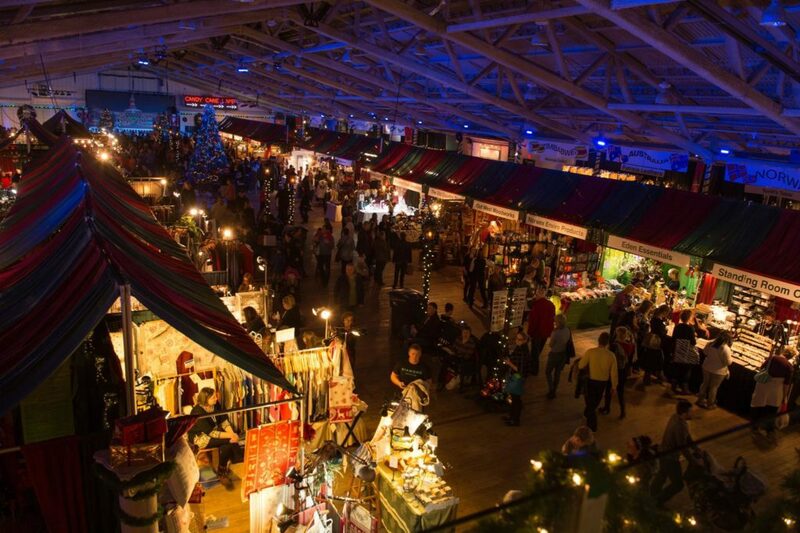 Discover a magical world of scents, colours, and lights at the International Spruce Meadows Christmas Market. Browse from more than 300 vendors spreading Christmas Spirit as you complete some holiday shopping and listen to performances from a choir or traditionally dressed carollers. New this year, stop by the Founders Pavilion where you’ll find 12 new vendors. If you’re in search of the perfect ugly Christmas sweater to make all your holiday dreams come true, then this event is for you. Join Hands On YYC as they guide you through how to create your very own sweater at their annual workshop. They’ll supply all the inspiration, supplies, and design ideas. This event sells out quick so make sure you grab your tickets asap. Whether you’re interviewing for that dream job or are looking to improve your interview skills, this workshop is your chance to ask anything you want on the do’s and don’t’s of hiring. Join The Ace Class for a night of empowerment as Michelle Berg, the Leading Lady of Elevated HR gets real on the tips and tricks you need to know to ace the interview. Bring your resume with you so Michelle can offer her expert insight into how to strengthen your resume. On December 6, the National Music Centre presents the jazz-pop stylings of Ellen Doty – right in time for the holidays. Come listen to this Alberta-bred singer-songwriter and her beautifully unique sound that incorporates jazz, soul, folk, and indie-pop. Over 130 of your favourite Makies (and some brand new ones, too!) 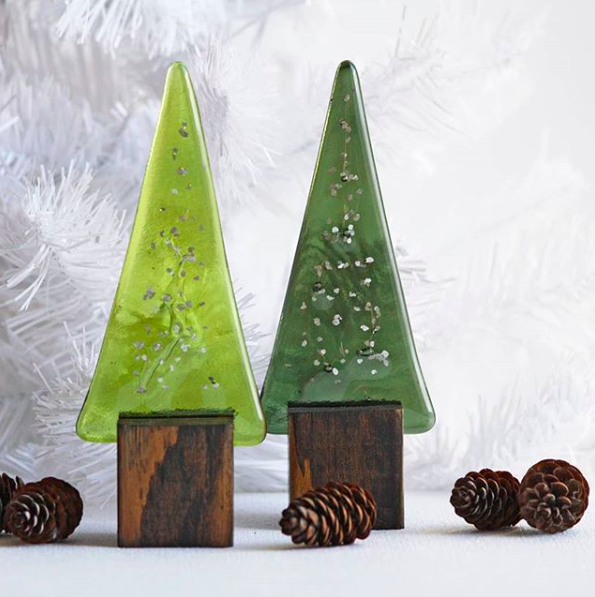 are bringing their beautiful handmade goodies back to Deerfoot City for the fabulous Make It holiday show. Stock up on accessories, jewelry, clothing, art, home decor, food, baby/kid items, and lots of other beautifully crafted goods. The annual Christmas edition of Dave Kelly Live returns on December 7th to the Jack Singer Concert Hall. The evening will feature special guests, surprise appearances, and the best in Canadian talent, stories, and music. Performances will include the Calgary Stampede’s Young Canadians, The Flat Whites and visual artist Mandy Stobo. Join Market Collective over two weekends to celebrate their 10 Year Anniversary/Holiday Market series. They’ll be setting up at the BMO Centre, Hall C, where you’ll see new and familiar artists as well as all kinds of interactive special installations, features, and activities like food trucks, DJs, live music, and shopping from the amazingly talented local creative community. The Canadian Pacific Holiday Train is back for its 20th year in an effort to raise money and food for food banks across North America. The holiday train is about 1,000 ft in length with about 14 railroad cars brightly decorated with LED lights and holiday designs celebrating the festive season. Admission is free and donations to the local food bank will be accepted. The Brick Teddy Bear Toss is back this month at the Scotiabank Saddledome. Come cheer on the Calgary Hitmen as they face off against the Kamloops Blazers. 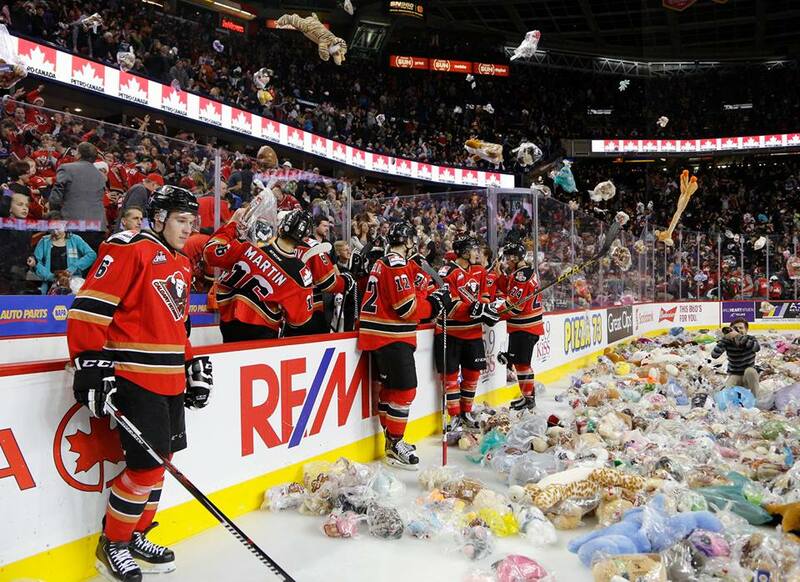 Be sure to bring along a teddy bear with you to throw onto the ice after the Hitmen score their first goal. These stuffed animals will make their way to hospitals and charities to be donated as Christmas presents. To shine light on the struggles and support the amazing entrepreneurs in our community, HELCIM and The Ace Class have partnered to bring you Founders, a curated series designed for entrepreneurs by entrepreneurs. Expect panel discussions with industry leaders and seasoned entrepreneurs, as well as an informative Q&A so you can fire off those burning questions. Leave feeling empowered and equipped to grow your business – no matter the industry. Toast is the morning mindfulness series designed to help you invest in yourself. As soon as you walk in the door, you’ll have the opportunity to nourish your body and mind will food and drink, as you prepare for the rest of the event. Expect a mini-meditation, the silencing of that pesky cell phone, and an empowering panel of women offering their insight on how to unlock your infinite potential through helpful and practical tools, tips, and techniques. Join It’s Date Night and Pinnovate for a night of drinks, crafts, and good beats. Your ticket includes all the supplies you need and all the good ol’ Christmas vibes. Find a date just in time for the holidays. Each event has 20 single women and 20 single men to connect with. The women stay in the same seat and the men rotate. Each date lasts about 4-5 minutes. We collect your matches at the end of the night and will contact you with your matches the following day. This is so you don’t have the awkward phone number exchange at the end of the conversation. Your contact info is only shared with permission and if you have a match. Arrive at 5:45pm as the event will start at 6pm. 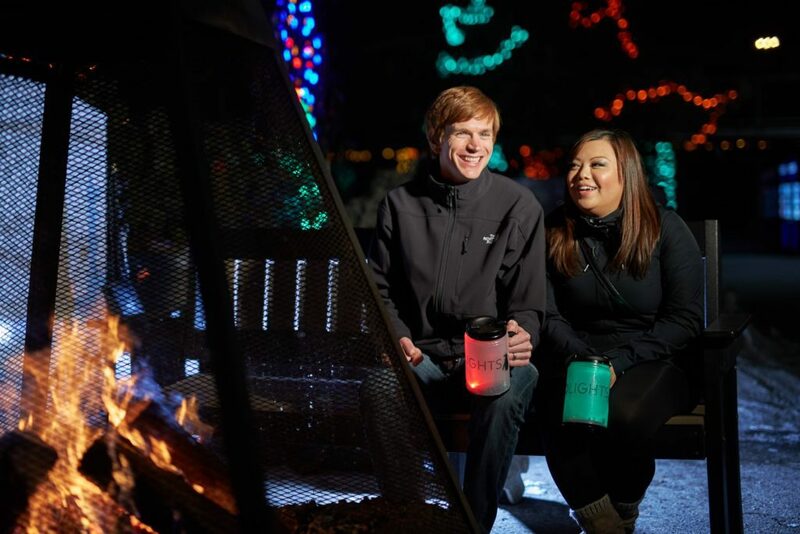 Bring your date to Telus Spark for Adults Only Night. It’s your turn to explore the galleries and experiment with their interactive exhibits – all while sipping on a drink from the licensed bar. This month, they’ll be ending the year with a bang by bringing back the best of 2018 Adults Only Night. Known as one of Canada’s finest renderings, Edmund Stripe’s depiction of The Nutcracker celebrates its 10th anniversary this season. This magical retelling of E.T.A. Hoffman’s famous tale is set in imperialist Russia’s majestic era, when Fresh fashion was in vogue and Tchaikovsky composed his timeless masterpiece. 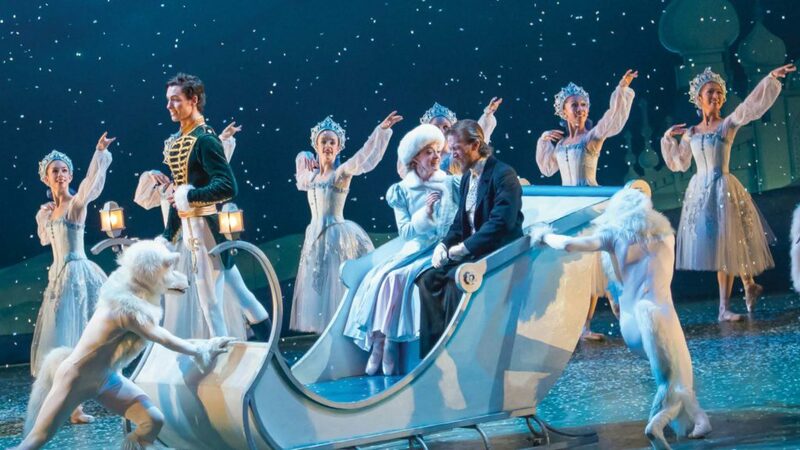 With a cast of over 120 performers, this ballet is sure to transform your minds into a majestic fairy tale this holiday season. This unique Christmas Market will feature an all female-entrepreneur marketplace and live performances by female performers. There will also be free workshops provided throughout the day on topics ranging from building a 6-figure income and meaningful gift making to creating your own winter warmth kit and how to incorporate some self-care over the holidays. The market is free to attend but donations for women-focused charities will be accepted at the door. The December edition of Calgary Babes Who Brunch features local boss babe Morgan Craig-Broadwith, Chief Wellness Officer of Live It Active. Morgan is incredibly open about her journey, plus she’s funny as hell. Her latest creation, The Rejuvenation Retreat: Cultivating Grit & Grace, supports women of all ages as they explore what it mean to be gritty badasses while finding a little grace along the way. Along with an impactful talk, guests will also be treated to coffee, a two-course brunch, and a curated gift bag full of goodies from amazing local vendors. Grab your date and hit the rink for Olympia Skating Club’s Christmas Show and Family Fun Skate. This will be an afternoon of skating, games, refreshments, and holiday fun. Admission is free. Get your friends together, brush up on all your favourite episodes of The Office and bring your ‘A’ game. Awesome prizes to win and hours of laughter that will bring you back to the most memorable Office moments. 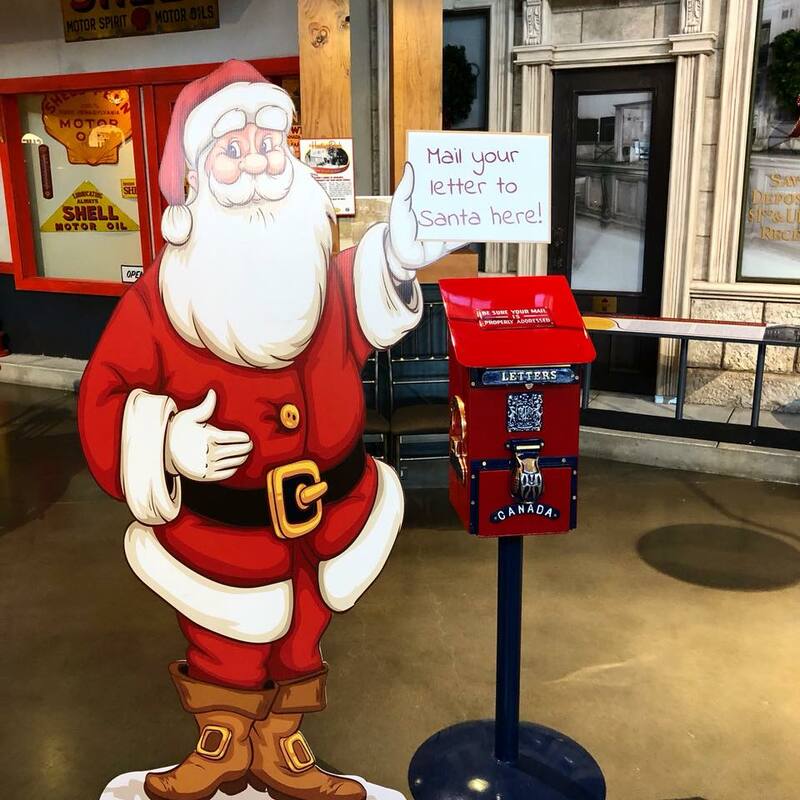 Heritage Park’s Once Upon a Christmas allows guests to experience the magic of Christmas Past by immersing themselves in the Yuletide traditions of Christmas. Whether visiting the historical family homes or taking a festive wagon ride, singing along to carols, or meeting Santa, there’s sure to be something for everyone. Keep the holiday tradition alive by coming to see the 32nd annual telling of Theatre Calgary’s A Christmas Carol at the Max Bell Theatre. Attendees will see the spirits of Christmas Past, Present, and Future as they guide Ebenezer Scrooge on a voyage through time. This year is a cause for extra celebration as it will be lead actor, Stephen Hair’s 25th season playing Scrooge. The Rec Room is bringing you a highly interactive all-request piano show where your requests rule. Known as some of Calgary’s best entertainers, the primary duelers, Pat McGannon and Craig Learmont, have nearly a century of piano-playing experience between them and can play anything you want to hear. No performances are ever the same. The City of Calgary and the new Central Library are teaming up to host a free New Year’s Eve celebration this year. Events will be held at different venues in downtown Calgary and will include a variety of activities like skating, story time, and a dance party. ‘The Rec Room’ will be on site hosting fun family-friendly activities while the Tim Horton’s Truck will be giving away free hot beverages at the Olympic Plaza skating party. Afterwards, stay to catch the fireworks go off at midnight. Dance and play your way into 2019 with The Rec Room. Join them for an unforgettable evening to bid adieu to 2018. Featuring The Gentlemen’s Club, Calgary’s alt-rock kingpins, with special guests. Your ticket to the party includes unlimited game play and prosecco for a midnight toast. Come get into the festive spirit with over two million lights and 200 light displays. There will be crackling fire pits and hot chocolate to keep you warm and interactive activities to keep you entertained. This is the city’s largest free drive-by Christmas lights display. Showcasing over 450,000 bulbs on 16,000 strings along 14th Street NW, it’s the perfect place to take your bae for a date that will be go easy on your budget.